Hanoi (VNA) - The municipal Customs Department on October 16 officially started piloting an automated customs management and supervision system of imported and exported goods at the Noi Bai International Airport. The department will apply information technology to exchange and update information with businesses operating in warehouses and ports to monitor the goods from locations under customs supervision. The management and supervision of goods transported by air will be based on information before flights, with goods automatically assigned numbers linked to import and export declarations. Warehouse firms will then have to send information about the goods with the assigned numbers to the customs office. The warehouse of Noi Bai Cargo Terminal Services JSC (NCTS) will be the first unit implementing the pilot system. The Aviation Logistics Corporation (ALSC) and Air Cargo Service of Vietnam Joint Stock Company (ACSV) will join the pilot in November to ensure all cargoes at Noi Bai International Airport are automatically managed in the system. The department also said 48 airlines operating at the airport sent documents certifying registration in the national aviation customs single window as well as information about passengers, luggage and flight crew. The information will help implement e-customs procedures and risk management on transit flights. The department has cooperated with the General Department of Customs and the three warehouse firms to receive information on goods transported by the airlines. The General Department of Customs received information from nine international airports through the national aviation customs single window. 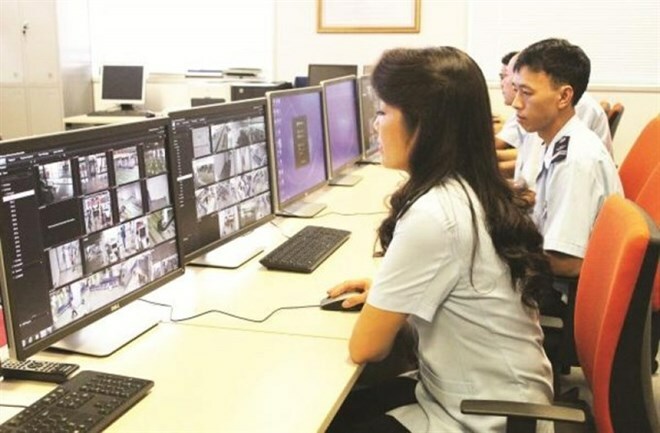 Tran Quoc Dinh, Deputy Director of the municipal Customs Department, said the system would automatically send information to warehouses to take cargo which completed customs clearance procedures. This could help warehouses return goods, saving time as well as providing timely and accurate information to prevent fake documents. “The system is expected to shorten time and costs on completing customs clearance procedures while enhancing goods management to avoid trade fraud, smuggling and ensuring national security,” Dinh said. He added that it would also help customs offices manage inventories at warehouses. Nguyen Cong Binh, Deputy Director of the General Department of Customs, said the system will operate in accordance with international standards, helping facilitate trade and import-export activities.